Hello everybody! 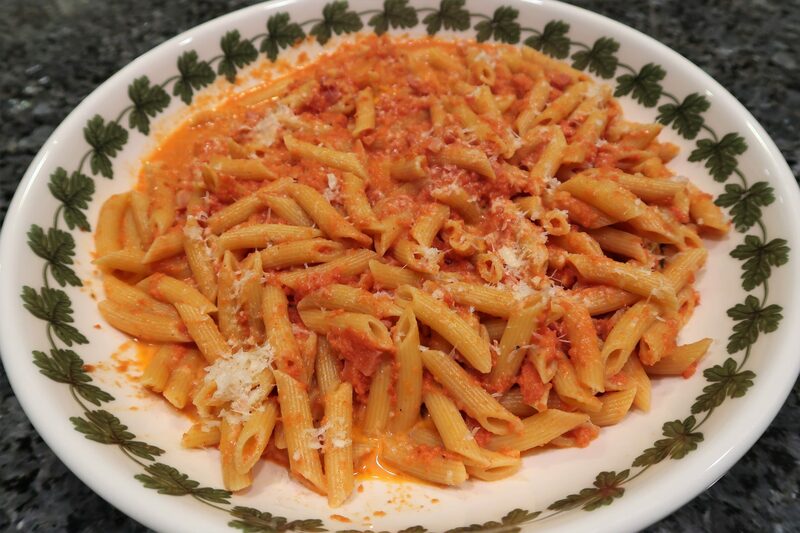 Today’s post is on a delicious Penne alla Vodka recipe! I didn’t learn this recipe until I came to America, but it’s very good and easy to make. To watch me cook this recipe, watch the video below. Bring a pot of water to a boil. Cook the penne as per the package instructions. Begin by adding the oil into a deep skillet and heating it up over a medium flame. Once the oil is heated up, add the pancetta and fry for about 2 minutes. Next, add the onion and garlic, making sure to stir frequently to keep from burning. Fry for about 2 minutes. Lower the flame and pour the vodka into the skillet. Stir and let simmer until the alcohol evaporates, which is about 3 minutes. 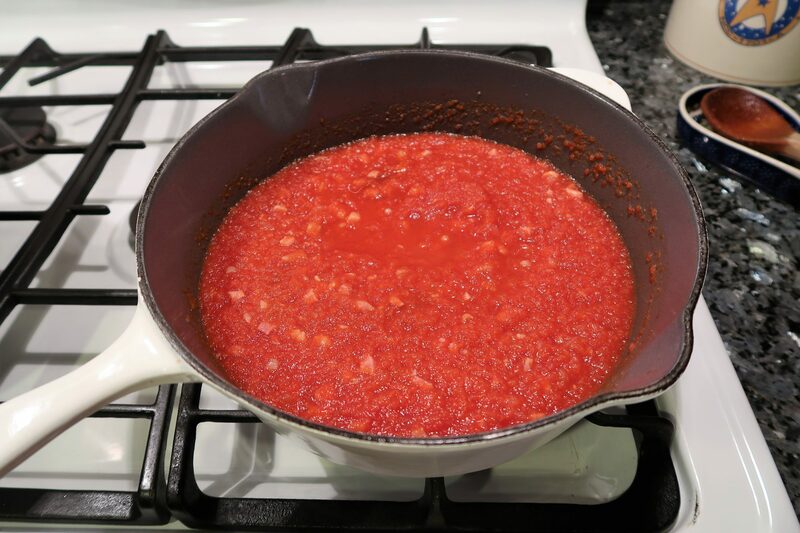 Add the tomato sauce, black pepper, and salt and continue to cook for about 5 minutes, stirring occasionally. I used my homemade tomato sauce, which was cooked for 4 hours prior to being stored. This means I only don’t need to cook for too long now. If you use store bought, you will need to cook the sauce longer. Next, add the heavy cream and continue to cook over a low flame for another 5-8 minutes. 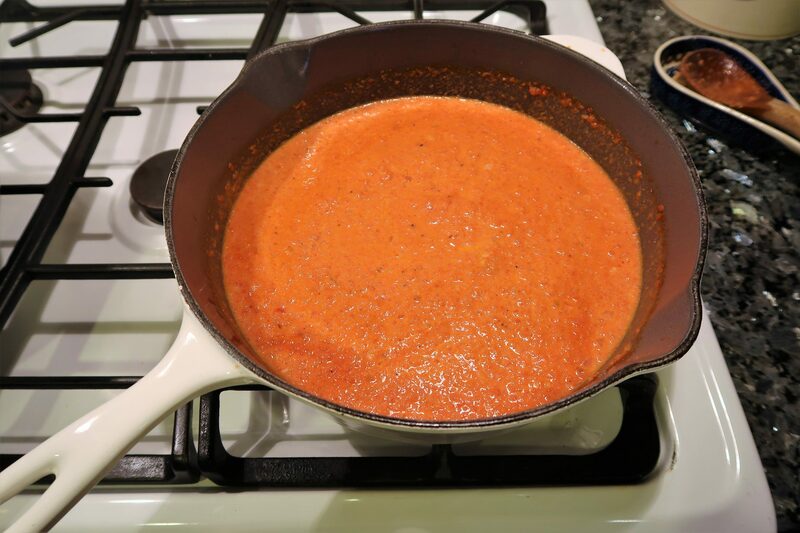 Once the penne is al dente, strain and add directly into the vodka sauce skillet and cook for another 5 minutes. 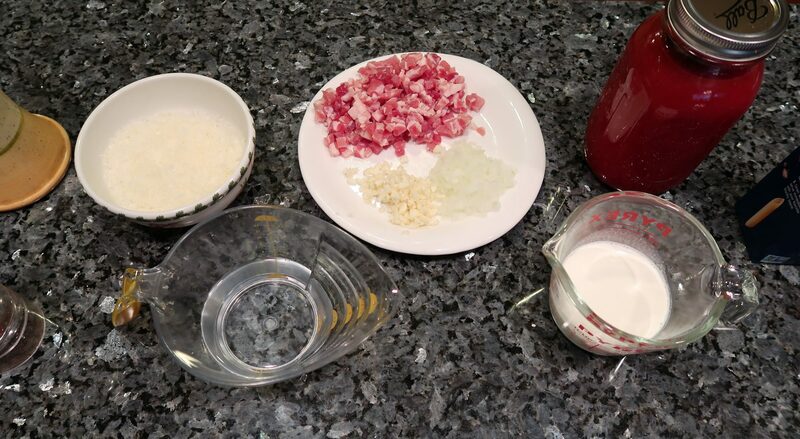 Remove from heat, pour into a serving dish, sprinkle some freshly grated pecorino cheese and serve! Enjoy and cin cin!